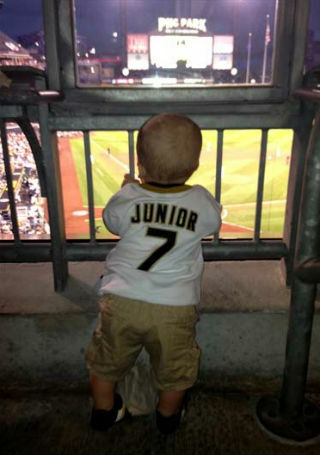 August 28th, 2013: Benjamin Jr. enjoys his first Pirates game. Wishing the best of luck & success to the Pittsburgh Pirates throughout the 2014 season! ← March Fan Photos are here!